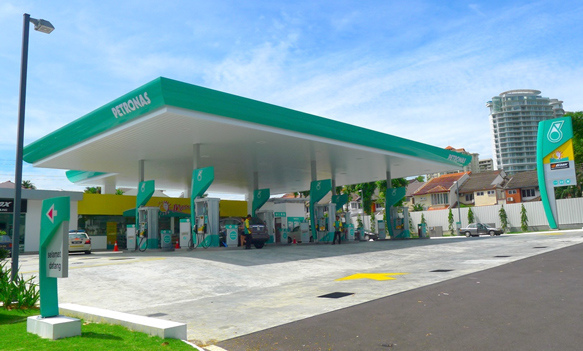 The announcement made by managing director and chief executive officer of PDB, Amir Hamzah Azizan, came in a recent press conference following the opening of a newly designed petrol station in Sri Hartamas, Kuala Lumpur. The refreshed design created by Minale Tattersfield includes new signage and a redesigned shop front and interior. "Minale Tattersfield started the refresh project in 2009. 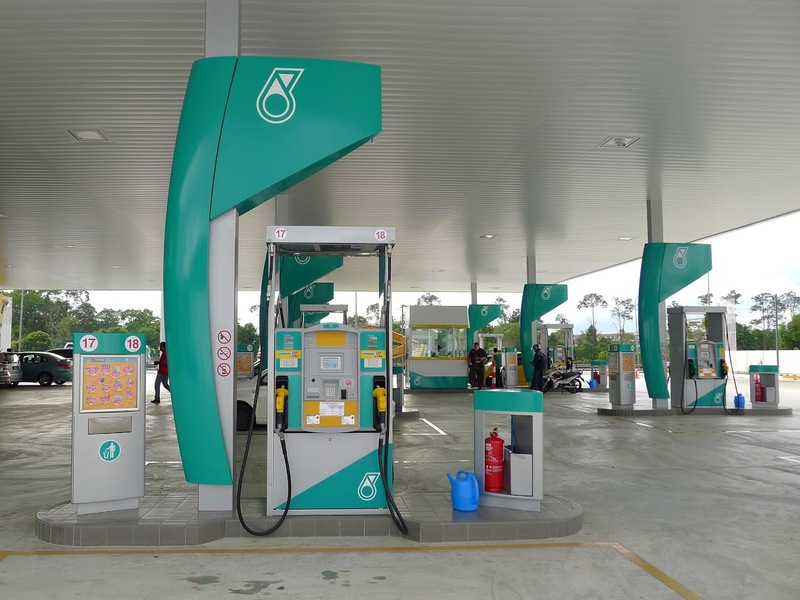 The prevailing political climate is different this time round, before Petronas had to make radical change to be competitive, now only an incremental change is required said David Davis, Head of Design at Minale Tattersfield. "The PDB refresh comes 14 years after Minale Tattersfield and Acton undertook the first major rebrand as sub contractor to now defunct MTA. In terms of brand lifecycle, fuel retail brands typically need rejuvenating every 10–15 years. This time round a softer, more evolutionary approach was required. 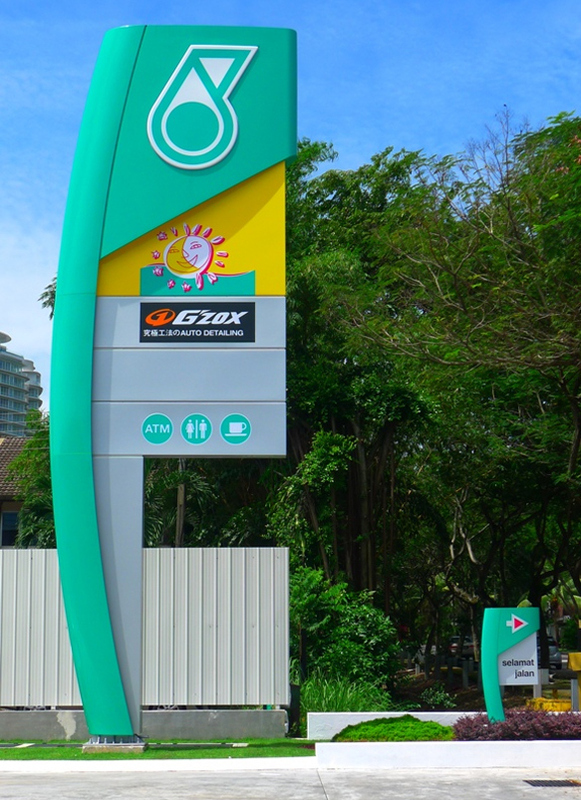 PDB wants to make its petrol stations a one-stop centre for fuel, food and beverage, banking and also essential car care products and services. One of the design challenges that our team came up against was how to keep costs down whilst introducing new external, forecourt and in-store elements, the later including new eco-friendly and safety design features. Following a review of signs, we concluded that an incremental reduction in signage size and numbers would provide the necessary leverage to reapportion costs elsewhere. 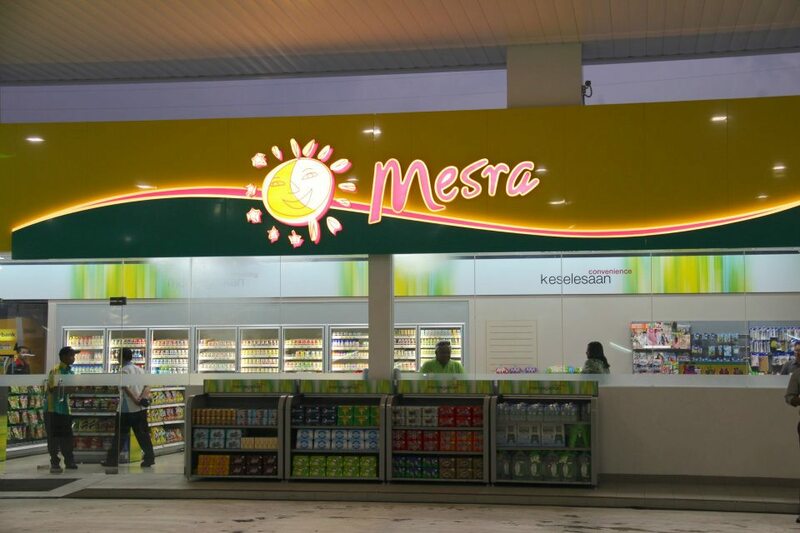 The new MID presents the C-store in a more emphatic manner commensurate with the importance to overall revenue generation. The convenience store design was looking tired and too yellow. We redesigned the interior with a better layout to make it more customer friendly and gave the interior a cleaner, more modern look. The cashier position was modified to improve safety and minimise the possibility of theft. 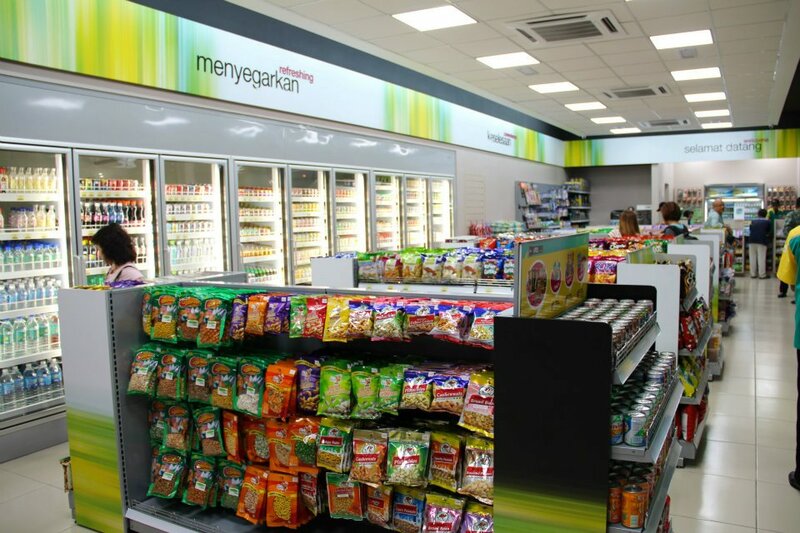 We also introduced energy efficient LED lighting, one of many 'green' design features to make the store eco-friendly. It is interesting to note that the overall cost of the new design is comparable to our previous design conceived over 14 years ago due to carefully aportioning where to spend our budget"
Currently, there are two other sites under construction adopting the new design with retrofits on a case- by-case basis. All future builds will adopt our new design with a potential lifespan of up to 20 years.